In this week's Warwick Bore, Alex Varley-Winter declares it to be a 'myth' that ID is just creationism. But that's wrong. The opposite is true – the judge in the recent case in America, stated specifically in his decision that ID is precisely creationism relabelled. Literally, as drafts of textbooks on creationism were converted into textbooks on ID simply by replacing the names. Let's be blunt here. There are three kinds of people who believe in ID. They are the ignorant, the stupid, and the dishonest. The dishonest are the worst. These are the arch-manipulators in charge at lobby groups such as the 'Discovery Institute' in America. These groups, it is known, follow the euphemistically titled 'Wedge Strategy'. The plan, explicitly stated and discretely endorsed, is to use issues like evolution to drive religion into government, with the ultimate goal of creating a theocratic state. Such institutions directly fund and support individuals like Dembski and Behe, and coordinate a careful strategy to destroy science and rationalism as a whole. For all their declarations that ID has nothing to do with religion, these people hold a step by step plan to use ID as a tool of mass manipulation. The creationists are simply organised in a way evolutionary science cannot be, because for all the conspiracy theories, there is no single towering Scientific Authority. The stupid are the oracles of the dishonest, knowingly or unknowingly. None of ID's ideas are in fact new. Irreducible complexity was talked about by Darwin himself, and every example brought up has been clearly refuted by adopting a more realistic version of evolution – one where, for example, ireducibly complex situations can be reached by shaving down from a more complicated one, instead of just naively building up. Dembski's specified complexity is entirely invalid, because it treats evolution as a search algorithm when in fact it is not – natural selection isn't trying to find a certain exact solution. Then, we get the metaphysical stupids around them. The ones that argue, for example, that science can't explain everything. Or the ones who argue that ID needs to be given a change. The problem is that ID wants to be science, and the question answered by evolution – can current physical laws explain observed distributions of life – is a scientific question. It is a question in which we can seek direct verification from observation. In all its claims, ID has been shown time and again to be wrong or insufficient. It should not be 'given a chance', until it has come up with evidence or arguments that can stand on it's own two feet. ID itself, by it's vagueless over the idea of 'intelligence' (whose existence philosophers still debate) and 'design', has currently no explanatory power at all. It amounts to no more than 'stuff happens'. Finally, there are the ignorants. The ignorants are the pawns of the ID movement. They are the majority who jam the polls. The ignorants represent two things – the failure of modern science education to convey the values and principles of science, and the concerted effort by the stupid and the dishonest to cloud their mind as to the facts of the matter. The manipulators at the head of the ID movement want to twist science into a thing where skeptical thought is useless, where facts are equivalent to opinions. They want to twist religion from it's proper role as a source of comfort, inspiration and personal peace, into a shackle on ideas and a network of clumsy dogmas that can be used to beat up on discourse. For this reason, these people need to be resisted, and fought. Today was the Guardian's first edition in the new 'Berliner' version. Plenty of hype, of course. My thoughts on this is that, well, big deal. The format should be a bit more convenient, but I've gotten rather adept already with the old folding contorting gesticulating game. As for 'everything is going to change', and the loss of the special science section, that was scary, but I reckoned that they wouldn't neglect their core audience. Which is why I am currently angry. So angry that if I knew where their offices were, I'd be marching down there with a bunch of friends to demand the old science section back. If I had any friends. What they've done here that made me so angry is a bunch of things. First, they've turned the science section into a daily spread. Fine. That's ok. And then they decided to call it Ideas. Ideas? What the hell does Ideas mean? Hey, let's all vote for the BNP. That's an idea, isn't it? Floral print is an interesting idea for jolly clothing. Do you have any idea the size of the queue today? The trouble with ideas is that like rectums, everyone's got one. Sure, ideas are part of science. But that's not just it. What is neccessary is also a rigorous and as-objective-as-possible means of discriminating between them, to reject what is false and then to examine even deeper what we fail to reject. Bush was talking gibberish when he was on about teaching all sides of the story. We haven't the time to deal with the infinity of crap out there without a shred of evidence to support. Science isn't about ideas. Science is about wonder and skepticism together. Science is about getting to truth. Why don't they just call the damn section truth, and be done with it? Or maybe just science? Well, apparently because they want to publish interviews with folk like Michael Behe. Behe is a crank. Behe works at the Discovery Institute, whose official goal is the so called wedge strategy, to redefine science and to cement religion into US life. In short, to make the USA into a theocracy. Behe's contribution to this is the idea of so-called irreducible complexity, the idea that things are too simple to have evolved naturally. (This is a point many people get wrong. Behe states that evolution is complexity linear, and so will never arrive at efficient systems.) Irreducible complexity is one of the few falsifiable points of creationism, but it has been falsified again and again. So, what was the Guardian doing interviewing someone who persists in stating things that are just plain wrong? Who is a known distorter of the facts? What was it doing failing to point out the endless refutations which exist for everything Behe says? Your guess is as good as mine. Everybody – even Richard Dawkins – sees design in biology. You see this design when you see co-ordinated parts coming together to perform a function – like in a hand. Behe immediately muddies the water. Keep track now… What Behe is on about now is organisation. Organisation is fine. Behe now renames organisation as appearance of design. I mean, in many, many things, pieces come together to perform a higher task. The organisation of the markets out of individual traders, for example. Behe now calls this appearance of design. You can't just have one part work a little bit then add another part and have it work a little bit better. And that's the sort of thing Darwinian evolution would have to do, if it was true. Strawman number one. Darwinian evolution isn't about adding things. Evolution is about just change in genetic material. 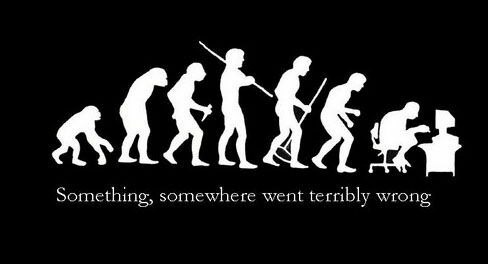 Evolution can also be taking things away. But we can still wait, because Behe hasn't shown life to be a mousetrap, yet. I see it as straightforward empirical observation. One analogy I like to use is to Mount Rushmore. If you had never heard of Mount Rushmore, you would see immediately the images of four people and immediately recognise that to be design. There wouldn't be any question of metaphysics there. You can tell that something was designed from its physical structure. Really? Now that is a metaphysical question. Let's do a thought experiment. Suppose you are an alien. You have never seen a human before. You have no concept of a face, and have never seen a construction engineer, never seen dynamite, and have no knowledge of Earth landforms. Would you really conclude that Mount Rushmore was designed? And we can do better. What about pareidolia – the finding of patterns that don't exist? Faces, in particular. The Virgin Mary in cheese sandwiches. Does Behe really think these are designed? It's not a matter of knowing about Mount Rushmore. It's about a number of distinct requirements to allow us to recognise design. 2. From this designer, we have a set of things we are looking for. For Mount Rushmore, it's the fact that it looks like a face. For the motor car, it's the fact that it takes us places. 3. We know of a set of processes by which our designer could have produced the design. Note that we have all of the above when judging Rushmore, none of the above when judging the Cheese sandwich, and none of the above when judging life. This makes the latter two at best a matter of faith, and at worst complete garbage. It's that you can see that there are quite literally machines in the cell. Machines made out of molecules. It's not just the intelligent design people who use this term. It's widely used in molecular biology. If you look in any of the science literature you will see that they talk about "machines". Strawman number two. Biologists mean a different thing from Behe here. Machines are just systems that do things. The use of the word machine doesn't mean biologists accept design. He's trying to steal a word. No. I'm just trying to explain the bacterial flagellum. You see, this is one problem I always run into. I see this flagellum and say, "Gee whiz! It looks designed," and then people come along and say, "Well, you're trying to say that the whole world was created by some superagency." No. I'm just focusing on this area in biochemistry. But you see, Behe isn't. Behe's whole argument rests on his incapability to explain the flagellum. The fact is, other people have actually been trying to explain the flagellum, and they've outline at least two possible ways with evidence to support them. Meanwhile, all Behe has done is to sit around and chant - it isn't possible. Yes. We're at the molecular level of biology and from physics we know that's where it ends. What, now, is biology? Behe takes a lurch into the metaphysical here. We say that biology ends at the molecular level, because biology is a field we define ourselves. Life itself is a very hard thing to define in a non-arbitary level. There is no rule in physics that there may not be biological influences from beneath the molecular. Behe finds it very easy to accept invisible intelligences, but very hard to consider the existence of undiscovered laws of nature. All that the evidence from biochemistry points to is some very intelligent agent. And here's the final nail in the coffin. Biochemistry doesn't understand the concept of intelligence. No one, and I mean no one, understands the concept of intelligence. The whole intelligence word is an ancient and insoluble concept in philosophy. The list is provably infinite. Did Galileo come to mind? Presumeably, the bit where he licks Behe's boots was deleted from the final version.